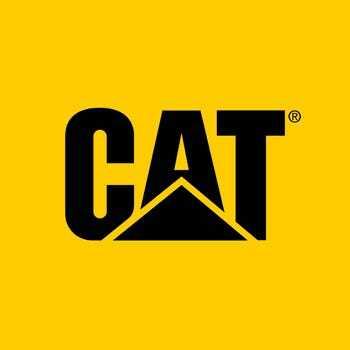 CAT is a well-known brand, and with good reason. They create their apparel with working people in mind. If you’re looking for a functional, comfortable, and durable men's shirt to wear the whole work day through, then consider getting this CAT Apparel Men's 15103 ... (see full details) (see specifications) #1510305-004. CAT is a well-known brand, and with good reason. They create their apparel with working people in mind. If you’re looking for a functional, comfortable, and durable men's shirt to wear the whole work day through, then consider getting this CAT Apparel Men's 1510305 004 TM Logo Dark Heather Grey Short-Sleeve Tee Shirt. It's designed with a nice cotton and polyester blend that just screams comfortable, and the short-sleeve cut with a high-density CAT logo makes this CAT Apparel Heather grey shirt one you'll even want to wear for hanging out on the weekends. You know that terribly perturbing sensation you feel on the back of your neck when you wear a tee shirt? It’s a small tickle that turns into a day-long annoyance. Occasionally, you fear that it's a bug sneaking its way down the back of your work shirt, and when you angrily remove it in a panic, you find that a tiny tag was the source of your endless frustration. Arguably one of the best things about this CAT Apparel men's tee is that the back is tagless for neck comfort. You’ll never be paranoid about potential insect invaders when you're wearing this logo shirt, nor will you ever be itchy from an irritating tag tickling your neck. Go ahead - take a deep breath in and exhale for a sigh of relief. Now that you’re hooked on this fantastic tag-free men's workwear, let us tell you more about this high quality design. This short-sleeve tee shirt comes in dark heather grey and is adorned with the legendary CAT logo, so you’ll be sporting a brand that's known for its superiority of attire for working people, like yourself. The logo is comprised of a high-density 3-D print for long-lasting image quality. But the logo isn’t the only durable part of this product. The rib trim on this garment is made with Spandex that encourages shape retention; this dark heather grey tee can be worn rather often while still maintaining its fantastic form and feel. Just make sure you wash this CAT Apparel workwear once in awhile to keep it fresh and soft. But don’t let the comfort and visual appeal of this logo tee shirt fool you into thinking it’s just any old tee crafted for regular, everyday wear - it’s still a working man’s shirt. It features a wire management loop on the back of the neck for added job site safety, in addition to the aforementioned Spandex rib trim that allows for long-term wear and tear. This CAT tee is meant for working, so feel free to put it to the test. If you want a soft yet sturdy men's shirt for work, you can’t go wrong with this CAT Apparel Men's 1510305 004 TM Logo Dark Heather Grey Short-Sleeve Tee Shirt. It's available right here at Working Person's Store, so make sure you place your order with us today so we can get this sent your way quickly. When it comes to dependable men's workwear that's meant for more than just leisure, CAT Apparel has your back. CAT Apparel Shirts: Men's 1510305 004 TM Logo Dark Heather Grey Short-Sleeve Tee Shirt is being added to your cart.